Aiming to bring high degree of transparency and accountability in public spending, the Aam Aadmi Party (AAP) government on Wednesday presented outcome budget for 2017-18. The Outcome Budget 2017-18, covering 34 departments was presented by Delhi Finance Minister Manish Sisodia in the Assembly. Sisodia gave a detailed presentation of 14 key departments and status of progress made by them in the first nine months of the year starting from April to December 2017. The outcome budget breaks down the performance of each major scheme and programme of the Delhi government into two kinds of indicators: Output indicators, which tell us what are the services or infrastructure that government departments are required to be provided: and outcome indicators, which tell exactly how did the people benefit from that scheme. Sisodia said that out of 14 departments, the government was able to achieve its set target of 70 percent progress in 12 of its departments. “We are the first government which is willingly putting forth its report card of achievements and non-achievements into the public domain. Our government is accountable to people and they have every right to know what has been done with their tax money,” he said. Starting with the education department, Sisodia said, 27 schemes and programmes of Directorate of Education were included in current year’s outcome budget with a total of 153 output and outcome indicators. Sisodia, who also holds education portfolio, said for the first time, nursery and KG classes have been started in 155 schools of Delhi government, against a target of 156 schools. “In these schools,” he said, “a total of 6200 seats were available of which 60 percent have been filled in the first year against a target of 80 percent.” 24,500 students belonging to EWS and DG category were admitted to un-aided private schools through online lottery, as against 20,000 students in the previous year, said Sisodia. In higher education, Sisodia said 8,603 students were admitted in Delhi Government fully funded colleges under Delhi University, NLU, AUD and DIHRM, compared to 7,392 students in the previous year. 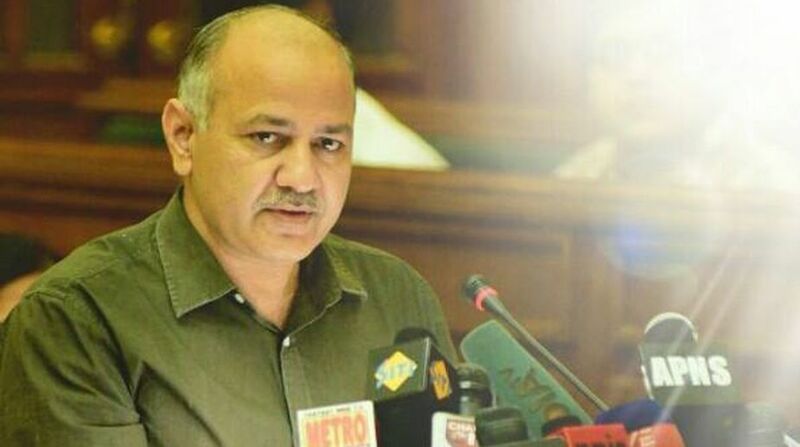 In health department, Sisodia said, 56 schemes have been covered with 764 output and 921 outcome indicators in the outcome Budget and 643 indicators were identified as critical indicators for quick reviews by planning department. “160 Aam Aadmi Mohalla clinics have been established up to December 2017, against the target of 1000 clinics. Total 32 lakh patients availed health care services from these clinics,” he said. The minister said about 1.90 lakh children of 9-11 months age group were fully immunized against the target of 2.52 lakh children. In transport department, The Deputy Chief Minister said, average daily ridership of DTC and cluster buses has increased upto 41.90 lakhs per day against the target of 40 lakhs per day. However, the daily average ridership of the Delhi Metro was targeted to reach 30 lakh in 2017-18, but it dipped to 25.7 lakh, till December. Under the Public Works Department, he said, 111 km of arterial roads were strengthened against target of 115 km. Similarly, in Delhi Jal board, as many as 1,209 unauthorised colonies were connected with water pipelines against 1,144 in previous year, he said. While in power sector, subsidy of 50 per cent of energy charges for domestic consumers up to 400 units per month given by the Power Department benefitted 37.28 lakh consumers (82.84 per cent of all domestic category consumers), he said. Under Environment department, 16 new Ambient Air Quality Monitoring stations were made operational against the target of 20. The Outcome Budget said forest and tree cover of Delhi rose from 299 sq km in 2015 to 305 sq km in 2017 due to massive tree plantation drives. Sisodia will present the Budget in the Delhi Assembly on Thursday.